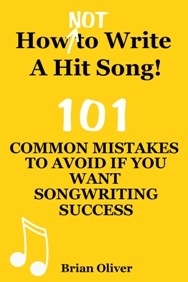 Unless you’re collaborating with other writers, or writing for your own band, songwriting can be a solitary endeavor. It requires a lot of time alone. You’re left in your writing room day after day, night after day, fighting the twin demons of indecision and procrastination. That’s why it can be very useful to have a songwriting buddy, says Grammy award-winning singer-songwriter Lorde. As Lorde found with Joel Little, 31, your buddy can be a musician friend or a fellow songwriter you respect – someone who will give you a chance to think out loud and be a sounding board for your new ideas. Alternatively, your songwriting buddy could be a special person that you trust and who will always give you an honest opinion. It could be your girlfriend, boyfriend, best friend, husband or wife – someone you can play a new song to without feeling embarrassed or self-conscious. Ideally, though, your buddy should be someone who understands songwriting and whose encouragement, experience and insight will help you gain momentum and confidence in your own writing. Many writers will admit that they’re often not the best judge of their own material, regardless of their level of experience or success. It is easy to get so close to a song that you can’t tell if it is truly finished or still has some weaknesses. That’s why a songwriting buddy can provide unbiased feedback at the crucial re-writing stage – before you start spending time and money on making a demo. He or she can give you valuable criticism (or praise) from an outside perspective.